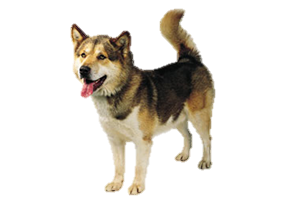 The Greenland Dog is historically a sled dog and seal hunter. A rare breed today, it is kept primarily as a companion. The Greenland dog is believed to be one of the oldest of the northern breeds. It is possible they were brought to Greenland by the first Inuit settlers around 1,000 years ago, although written record does not exist before 1784. They are also one of the purest, having suffered little dilution from imports. Once there were two varieties the East and West, but the western variety was overshadowed by imported dogs and then disease swept away the remaining dogs. The Greenland Dog continues to become increasingly rare, even in its homeland. Its last stronghold is the Scandinavian countries, where breeders are fighting to keep it from extinction. Is the Greenland Dog Right for You?